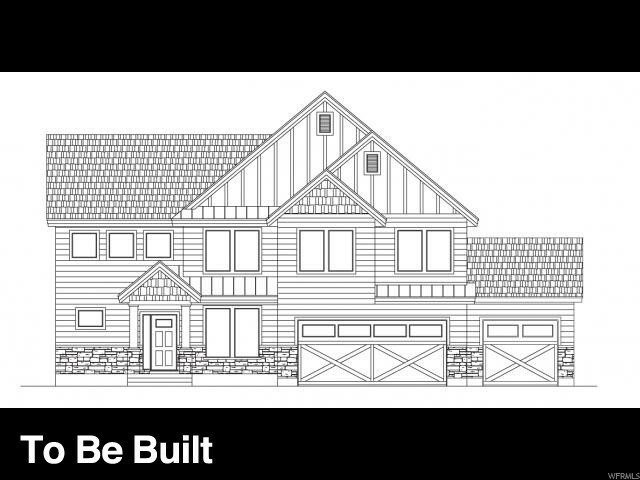 Large lot with AWARD WINNING design and curb appeal. Upscale and custom throughout including the community. Ten's of thousands in upgrades included as the Red Standard. Custom/designer lighting, upgraded carpet and pad, plank laminate in entry, kitchen/mudroom, metal stair railing, cabinets in laundry, mudroom bench, 9' ceiling, 2-tone paint, 2x6 exterior walls, oversized garage, custom electrical package, innovative architectural design with premium exterior materials, full exterior/fiber cement siding, CHEFS KITCHEN: stainless steel double ovens, 42 upper cabinets, upscale hardware, pull out garbage, 3 cm Quartz countertop, soft close cabinet doors/drawers, 36 5 burner stainless steel gas cooktop & stainless steel or wood hood. GRAND MASTER SUITE: garden soaker tub, porcelain tile shower surround, 3 cm Quartz, Borders gorgeous park, pavilions, fishing pond, walking trail, open space. Close to shopping, equestrian park & so much more. Option to finish the basement is possible add-on for additional bedrooms, family room. I would like more information regarding the property at 6807 W OAK CROSSING WAY Unit 2, Herriman UT 84096 - (MLS #1563632).